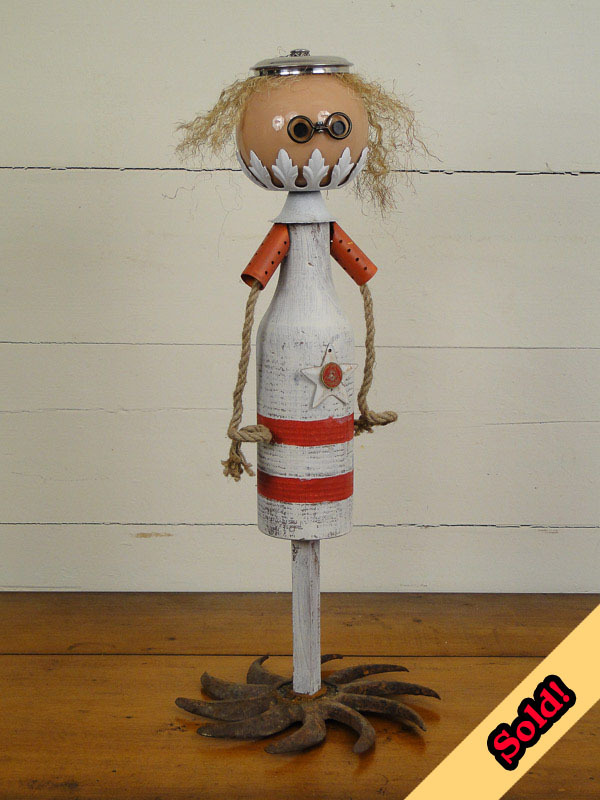 This girl is a mate for the Buoy Boy I made last year. Although she has a more scholarly lean than the Buoy Boy fisherman. Her hair is raveled rope, her head is a glass light fixture, her body is a buoy, and her base is from a piece of farm equipment. She's spunky!